I have spent the morning on Pinterest looking at blogging “tips” and it seems I’m doing this wrong. 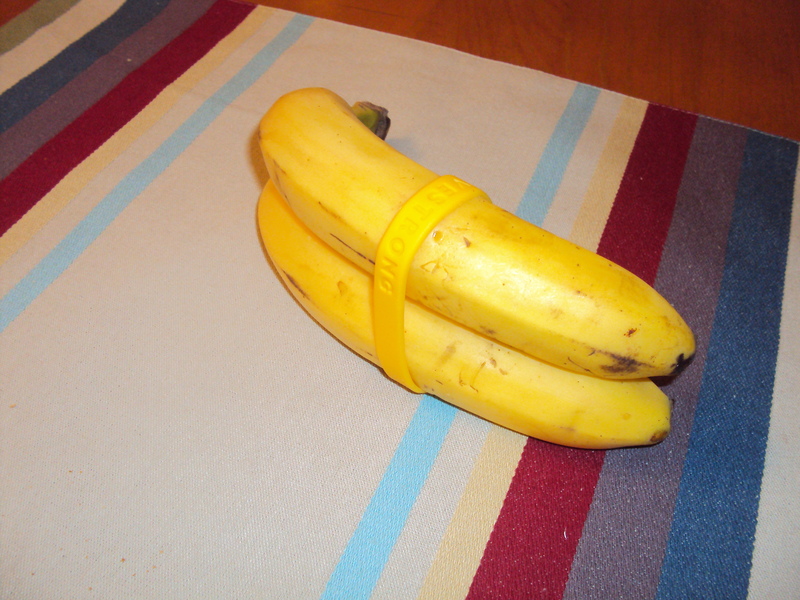 I should be tweeting all my posts 19+ times and using a consistent voice and giving you guys 27 tips on new uses for your LiveStrong bracelets. But I will not do these things. I am not a mommish writer. The company I keep on the Internet is not looking for me to feign interest in laundry tips or coming up with cute anecdotal stories about C pooping wherein I pretend to be unaware of how gross I’m being. I know it’s gross and I’m not going to apologize. Most of the time, when I use Pinterest, it is to find new things to make fun of. Being overly fussy about C’s first birthday party would be the adult equivalent of me acting like I really cared when I went to sorority meetings in college. So I will keep being me. In case you were wondering. OK, I just needed to get that out of my system. It’s good for me to occasionally remind myself that I’m alright the way I am and that I don’t need to change just to be successful. Forty-five percent of the people who visit this blog leave comments and I’d much rather have than than 90% passive readers who just drop in for pretty pictures of banana bread. But I am still having a giveaway, but not because I want to drum up new readers. Or because I have read somewhere that it’s a good thing to do for marketing. It’s because I want to give y’all things since you’ve been so kind to me. If you missed the post on the giveaway, here it is. There are strings attached, but they are good strings. I have finally come up with a prize! It will be an assortment of nonperishable yummies from the North Carolina State Farmers Market! We went last weekend and it was pretty much the happiest place ever, and it would have been even if it hadn’t started snowing when we were there. I want to spread the love to you, so by submitting your baby picture for Miss C’s bloggy birthday bash, you will be entered to win it. So get on that. On a completely unrelated note, I have been reading some books. I know you think all I do is read blogs, but you would be mistaken. When I am not reading blogs, I am reading books written by bloggers or books suggested to me by bloggers. Or teaching C how to write a blog because I have excellent priorities. I am working my way through Carrie Rubin‘s The Seneca Scourge and washing my hands rather frequently. It’s excellent and in case the 80,000 people who have already sung its praises weren’t enough, I’m also here to tell you that you should probably read it. 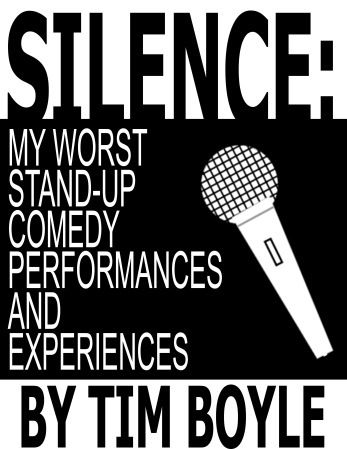 Last week I finished Moosey‘s book on his stint in stand up comedy, Silence and I was heartily entertained. It’s really good, y’all. He will probably give it away to you if you really want, but why don’t you pony up the $0.99 required to purchase it for your ereader? One last thing. C can now stand without holding onto anything. I should have probably said that first since I’ve got a Top Mommy Blog voting badge thing on my blog now, but look at me. I said it last. I saved it for last because it’s the best. She can stand up for herself. That’s as deep as it sounds. So to clarify, will or will NOT scrapple be in the gift basket? I like Supersize me as far as food docs go – but I read something like Food Inc as well. I typically avoid red meat and pork (but sometimes crave steak so I eat some from my husband’s plate)…I can’t live without chicken and turkey… slurp! What an awesome post ;) and don’t worry about adding the news at the end, priorities shmorities! Thanks, Pixie ;D I always get excited when I see your Gravatar image around her. Thanks for being so supportive! Any time Emily, your blog is a fantastic space, how could I not be supportive? AND I will get to go to the party? Bring it on! I for one am glad you’re not giving out banana bread recipes (I HATE banana bread) and I don’t have a Live Strong bracelet even though i lived in Austin, TX for 5 years where everyone is still gaga for Lance Armstrong (yes, still). I will say, however, congratulations to C on standing up for herself. That’s a big first and one that will help her go far in life. It isn’t just a symbolic thing. Soon she will be taking her first real steps and making her way in the world. It will be exciting for both you and her and her first move toward independence. That’s a big thing to celebrate. Austin is magical place. I love San Antonio but it is a bit provincial compared to Austin. There is so much to do and see in Austin. I really miss it. The Alamo is so small inside! Speaking of banana bread . . .why not a post on banana bread? I freaking love banana bread and the best banana bread is made in my house, by me. Banana bread is even a cool mom and kid baking project. Who else would you get to mash up bananas? Sounds like I’m going to write a post about banana bread. I am actually a huge banana bread fan too. For some reason, I made a million loaves of it when I lived in Chicago. Please do send me your recipe because I’d love to give it a whirl! “My” recipe is from The Best Recipe by Cook’s Illustrated. Let me know if you don’t have the book and I”ll send you the recipe. I change the flour to 1/2 ww pastry and 1/2 all purpose. Can’t tell. I do have that book! It is basically my Bible. Best cookbook ever. I’m glad you’re sticking to what works for you, Emily. I like you just the way you are. And, yes, The Seneca Scourge is a great read. I can’t to see what Carrie comes up with for her next novel. For some reason, I have been reading a lot of dud books lately, so The Seneca Scourge was a welcome reprieve from that. There is definitely nothing greater than a good book! Kudos to Carrie! Are people on the internet that haughty and arrogant? I got a free organic smoothie from Klout the other day, which kind of balances out the free McDonalds giftcard they also sent me. And yes, people are that horrible and dumb. They tend to hang out on the Internet. What I got from this is if people don’t take a look at my book they’re calling you a liar with bad taste. People are so cruel. I am willing to put myself on the line for you. It’s a good thing your book is awesome. Emily, we continue to come back because you’re being you. So keep on keeping on. PS, do you want me to use the pic of your Baby C as your entry in the giveaway? Sure! That’s why I put it up there. There are so many things I love about this. I love the new look! And I join you in your crusade against blogging advice. Tweeting every post more than twice is a surefire way to get yourself unfollowed by me, post haste. And I don’t think bananas need help staying together. They’ve got the whole spooning thing down pat. And also, all hail bloggers who do not post salad dressing reviews because HEY a company sent me a free bottle of salad dressing! *End Rant. I need to send you my picture. It’s a good one because it includes Martin too. Or maybe I should send you the one where I’m full-on screaming. I can’t decide! I got your pic and it is hilarious and awesome. You both were so cute I can hardly stand it! I’ve started unfollowing people who only use their twitter accounts to tweet links. It just looks spammy. I actually never thought of you as a mommy blogger and that is a compliment. Oh, and I try to read books in with the blogs, but the universe insists that there can’t be more than 24 hours in a day. So it is a struggle. I need a three hour plane ride without internet to get this accomplished. I will take that compliment. Thanks, Becs. I am lobbying to get more hours in the day, too. It’s an uphill struggle but with enough signatures I think we can get it passed. You have my signature for sure! But what am I to do with my LiveStrong bracelets??? Like Becca, I’ve never thought of you as a mommy blogger either. My problem with the term “mommy blogger” is that it implies all the woman is is a mom. I’m so on board with what you said about liking interaction more than jacked up page views which mean nothing. Community is everything to me too! 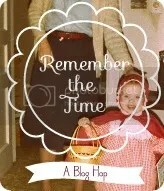 I love the little communities we have going on our blogs! Hanging out on WordPress gives me welcome grown-up interaction on days when I feel like all I’m doing is reading Dr. Seuss and changing diapers incessantly. No offense to Dr. Seuss or anything, but it gets a little tedious after awhile. Thanks, Jen! Congrats to Miss Super C! I hope she is very proud if herself. She is! The cutest thing is that right when she figured out how to stand, she also figured out how to clap, so she usually does both at the same time. It’s totes adorbs. wait – wasn’t there supposed to be something precociously adorable about boogers in this post? HA! I am saving the booger post for flu season 2014. I have to space out all my good material. Thanks so much for the mention of my book! What a pleasant surprise to stumble upon! I’m so glad you’re enjoying it. Ah, if only there were 80,000 people who’ve read it. My publisher would no doubt be thrilled. 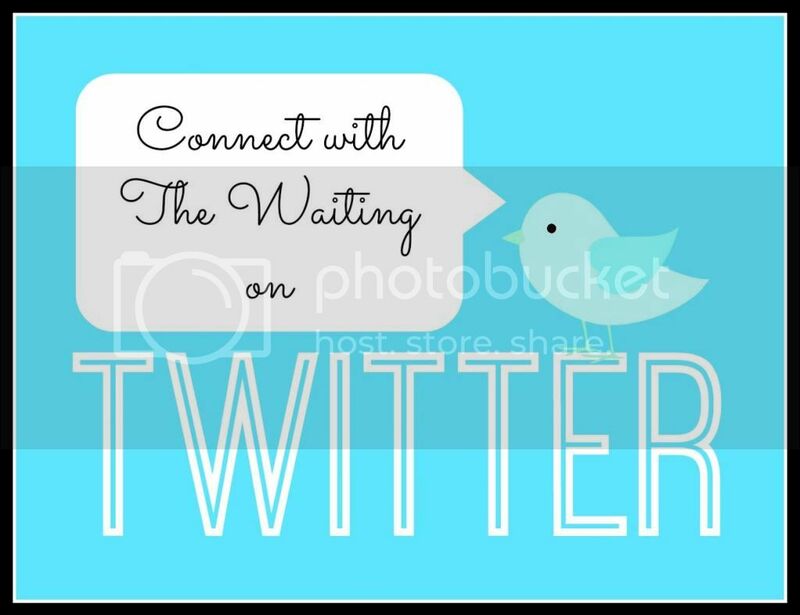 I’m like you–my blog posts only get tweeted once. Maybe I should do more, but I don’t think anyone wants to see ten tweets about the same post. They’d put me in their ‘ignore’ list. I have to check out this Mommy Badge. Is this something we can vote for? Regardless, congrats! And thank you again!! Carrie, reading your book has been such a treat. I feel like I had started and put down a bunch of dud books before I finally started yours. Finally, a book I can actually sink my teeth into! It is my pleasure to sing its praises! The badge is on the homepage below the Freshly Pressed badge. All you have to do is click it and you’ve voted for me. Oh good, I’ve done that! Can we only vote once? You can vote as many times as you like! It’s more for a ranking than an actual contest so clicks over time make the difference. Thanks, Carrie! Yup – just keep being yourself, that is what brings us back (although I am damn disappointed I missed that beautiful picture of banana bread!) Hooray for Miss C for not needing to hold on. On an unrelated note, I love the flower wallpaper – where do you get such pretty wallpapers? I took a random picture of Christmas lights that were blurry (and at one point I thought they looked cool) so I am using that but I am sick of it. Thanks, Shoes! I will pass on your congratulations to her in the form of a couple extra blueberries ;D Wallpapers are kind of a tricky business. The ones I’ve used in the past were found online after extensive searches. It’s hard to find free ones that tile correctly. But this latest one is from WordPress itself. I pay like $30 a year for special fonts and color palettes. It’s a little splurge for this incredibly frugal girl. This is me proving I’m not a passive reader. Duly noted. This is me replying to your comment because I am dutiful. First of all, I’m excited that your precious little “C” is standing up! They are so proud and excited when they learn new things! So adorable. OMG I absolutely LOVE those things where people get creative in the comments of Amazon! I just had a complete giggle-fit reading the banana-slicer reviews. I think I read one about a jug of milk once and it was also hilarious. Thank you so much for passing that along! I will always stay honest. I mean, if I can’t remain honest about the adverse affects of raisins on a baby’s digestive tract, then there is no hope for humanity. That is my truth. Lol! And I think the best part is that you are going to have a “poop load” of stories to share with your grand kids – all documented for you! I did get your pic! I have been lazy about replying to those emails, but thank you for sending it in! Walking and crawling certainly test a mama’s nerves. Clapping is THE BEST though! C just figured our clapping last week so now she claps at everything. I will never tire of it! Your writing and humor are the prize. Thanks! Awwww, thanks, Playful! Such kind words! I still get TONS of Google query terms about Iceland that bring people to the guest post you did. You write some great information! You kinda scared me there at first. I didn’t find you through twitter, and I don’t own a livestrong bracelet. Geez. Another blog I was reading recently went all commercial. I used to love her…now she makes me sad. Be you! Because I like you! I remedied that Twitter thing. Now I’m following you! ;D Thank you for liking me for who I am. I will never try to sell you anything, and I pledge to keep it that way. ;D Thanks, Katie! I think your blog is awesome because it’s so genuine. I was reading a blog the other day, and it was a writer I used to really like but then she went all commercial and now she’s all cocky, and as I was reading I was thinking, who do you think you are? I mean, are you really going to develop an ego because you now get sponsored to write about Old Navy and Tide Sticks instead of interesting things that people might actually care about? Don’t get me wrong; I’d love it if I could make a bazillion dollars writing. But interaction is what matters. The relationships you can build through blogging are priceless, and it’s being genuine and sincere that makes people keep coming back. I hate those “tips” for successful blogging because they’re full of crap. If you don’t interact with your readers and support them and foster relationships with them, it doesn’t matter how many social media accounts you have or how many times you tweet because no one wants to devote their precious moments of alone time to reading self-absorbed, obnoxious people brought to you by Charmin. Keep doing what you do because you do it right. I feel like I need to sing that last sentence and possibly turn it into an early 90s pop song. I love everything about your comment. 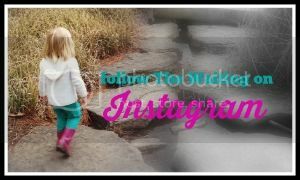 Our experiences are really similar when it comes to reconciling our mommish selves to our blogs, and I think you and I both have thought long and hard about walking that line between running successful blogs that don’t completely pander to the Tide Pen set. I have gotten a handful of emails lately asking me to write sponsored posts and I have to admit that the idea of getting paid and/or compensated for my words is incredibly appealing, but I just don’t think I could make that transition seamlessly. And I’m 110% sure that it would go to my head in a bad, bad way. I want to write my blog in peace. It is kind of weird. All you have to do is click the thing and then you’ve voted. It doesn’t tell you “successful vote” or anything, which is confusing. Thanks for doing that, though. Mmm banana bread. I just bought a whole ton-a bananas to make some super amazing muffins. And freaking HOORAY for standing!!! :) The best news should always come last. Just like dessert comes last. Everything worth anything is worth waiting ’til the end. Do you know what else is delish? Take all your extra ripe bananas, cut them up and stick them in the freezer overnight, and then the next day process them in the food processor or blender. Instant banana ice cream! SO GOOD. I saw that with peanut butter, too. I *REALLY* want to try it, but I’m nervous about how thick it would be in the blender? Is that just my silly brain playing tricks on me?